I take on the responsibility entrusted to me deeply convinced that, as I have often said, there is only one Commander in Chief of the Cuban Revolution. Fidel is Fidel; we all know it very well. Fidel is irreplaceable and the people shall continue his work when he is no longer physically with us; although his ideas will always be with us, the same ideas that have made it possible to build the beacon of dignity and justice our country represents. The Communist Party, a sure guarantee of the unity of the Cuban nation, is the sole worthy heir to our people’s confidence in its leader. It is the top leading force of our State and society as provided in Article 5 of our Constitution approved by referendum by exactly 97.7% of the voters. This conviction shall become especially significant when as a fact of life the generation that founded and forged the Revolution is no longer present. Fortunately, it is not that moment we are living today. Fidel is here, as always, with a very clear mind and his capacity to analyze and foresee perfectly intact and strengthened now that he can dedicate to studying and analyzing the countless hours he previously used to tackle the daily problems. Despite his steady recovery, his physical condition will not allow him those endless working sessions --often separated by hardly a few hours of rest—that characterized his work practically from the moment he started the revolutionary struggle, the same that grew in intensity through the long years of the Special Period when he did not take one single day off. Comrade Fidel’s decision, a new contribution enhancing his example, ensures as from now the continuity of the Revolution and is perfectly consistent with a life guided by Martí’s precept that: "All the glory of the world fits in a kernel of corn." Likewise, his determination is unchangeable with regards to his decision to continue making his contribution to the revolutionary cause and to the most noble ideas and objectives of mankind, while he has the strength to do so. Therefore, with the certainty that I am expressing the will of our people, I appeal to this Assembly, as the supreme body of the State power, to allow me to continue consulting with the maximum leader of the Revolution, comrade Fidel Castro Ruz, the decisions of special transcendence for the future of our nation, basically those associated to defense, foreign policy and the socioeconomic development of the country. For this and for many other reasons, I shall rather often today quote some of the fundamental ideas and concepts expressed by him in his Reflections. I avail myself of this occasion to say that we should study them for they are educational and they show his capacity to look into the future. We should always bear in mind something that Raul Roa liked to say to those close to him: "Fidel hears the grass growing and sees what is happening around the corner." Comrade Deputies: I am aware of my responsibility to the people as I take on the task entrusted to me. But I am also convinced that as it has been the case until today, I can count on the support of those holding positions of responsibility at various levels, and even more importantly, I can count on the support of my compatriots without which a society like ours could not succeed. The Assembly, in full compliance with the view of the Party’s Political Bureau, elected comrade José Ramón Machado Ventura as First Vice President of the State Council and later approved his appointment as First Vice President of the Council of Ministers. As I explained in my proposal to fill that position, it is convenient that under the present circumstances the same comrade takes on these two responsibilities in the State and Government, as it has been the case until now. Considering his revolutionary life and convictions, his experience and knowledge, his qualification as a leader and a human being, there is no doubt that he meets the requirements to carry out these high duties. Likewise, the assembly has agreed, in accordance with Article 75 of the Constitution, to analyze the composition of the Government in a future session later this same year. This is a timely decision, since we are not dealing only with appointments, but rather with decisions about which changes might be required in the system of institutions pertaining to the central administration of the State, and this needs more time. During the first 15 years of the Revolution, the State structures inherited from capitalism were adjusted as we went along to undertake the tasks imposed by the radical economic, political and social changes. The 1960’s institutionalization process, however imperfect, enabled us to structure an articulate system corresponding to those circumstances. We were then able to put ourselves on a level with the socialist countries, in terms of both good and bad experiences. n the fourteen years that have passed since then, the national and international scene has noticeably changed. Today, a more compact and operational structure is required, with a lower number of institutions under the central administration of the State and a better distribution of their functions. This will enable us to reduce the enormous amount of meetings, coordination, permissions, conciliations, provisions, rules and regulations, etc., etc. It will also allow us to bring together some decisive economic activities which are presently disseminated through various entities, and to make a better use of our cadres. In summary, our Government’s work must be more efficient. The Assembly has been renovated in a higher proportion than the previous legislature. The number of women deputies has grown over seven percent; they now make up almost half of the legislature, over 43%. There is also an increase from 23 to 36 in the number of those between 18 and 30 years of age, that is, the youngest, although we also have a higher number of deputies who are over sixty. It is very significant that a higher number of deputies are directly linked to production and services, that is, workers, farmers and other laborers. The same applies to members of the armed institutions, sportsmen, artists, writers, journalists and other professionals who, together with the student leaders and the comrades working in the people’s councils make up over fifty percent of the Assembly. These data and the simple enumeration of the tasks discharged by every one of you from national cadres to retirees and religious leaders-- allow us to say that those meeting here are a small-scale sample of the Cuban society. This is a basic premise albeit it cannot by itself guarantee the fulfillment of the Parliament’s mission. First and foremost an intelligent, organized, creative and strong performance is required from all members, particularly while working in the commissions where there is more time to focus on certain issues and to study them listening to a greater number of comrades. In my visit last December to the Santiago de Cuba district that elected comrade Fidel a deputy, I said that the massive support enjoyed by the revolution demands from us that we question everything we do in order to improve on it. I also said that if the people are firmly united behind a single party, this must be more democratic than any other, and so must be the entire society. This society, of course, can be improved, as any other human work, but it is undoubtedly full of justice and everybody in it has the opportunity to express their views and, better still, to work for the materialization of whatever we all agree. There is no reason to fear discrepancies in a society such as ours, where its very nature precludes the existence of antagonistic contradictions, since the social classes that make it up are not antagonistic themselves. The best solutions can come from a profound exchange of differing opinions, if such an exchange is guided by sensible purposes and the views are uttered with responsibility. That’s how the majority of Cubans have acted, from our best scientists, intellectuals, workers, farmers and students to the most humble housewife. At different stages of the Revolution, including the present, when objectively assessing both the strategic issues and the difficulties of their everyday lives, they have all set an example of political maturity and awareness of realities. Meanwhile, they are increasingly convinced that the only source of wealth for the society rests with the productive work, above all when man and resources are efficiently employed. The international doomsayers forecasting the death of the Revolution tried to capitalize on the criticisms made during the study and discussion of the speech made on July 26th in Camagüey. They overlooked the fact that it was debate and criticism within socialism. This was confirmed way over, a few months later, by the results of our electoral process which concluded last January 20th. It is also true that some people are inclined to talk before being properly informed. These make demands without thinking whether they are talking rationally or irrationally. As a rule, they agree with those who claim rights without ever mentioning duties. 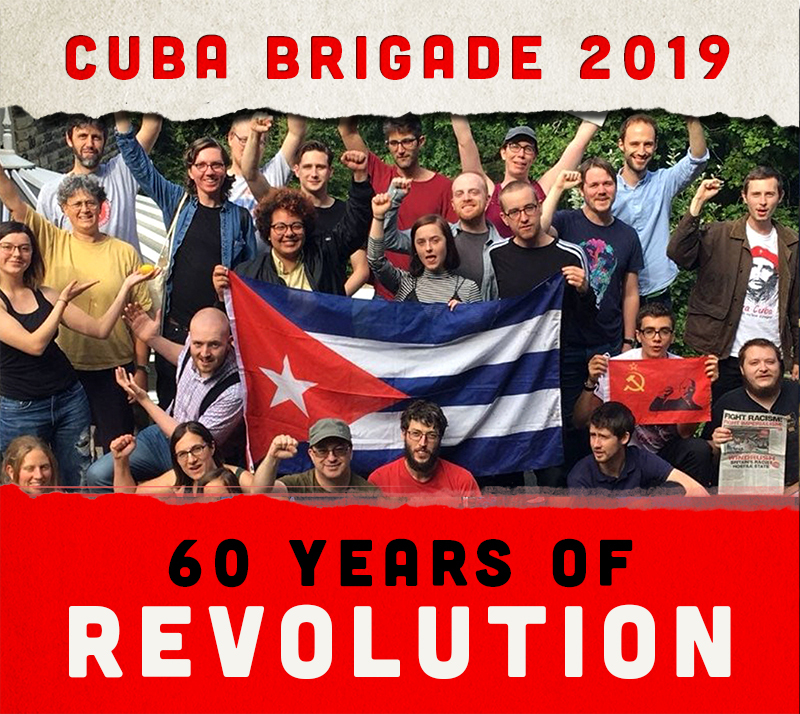 As Fidel put it in his Reflections of January 16th: "…they expect miracles from our determined and dignified Revolution." We do not deny their right to expression, provided they do it with respect for the law. In the face of such an expression we can neither be extremists nor naives. When the motivation is despair due a personal problem or the lack of information, we should be patient and offer the necessary arguments. But if anyone intends to put pressure motivated by their wishes to be in the limelight or by ambition, demagoguery, opportunism, simulation, arrogance or any other human weakness of a similar nature, we must face them resolutely, avoiding offense but calling a spade a spade. We should never forget that the enemy never sleeps, that it is always willing to use our carelessness to do us harm, even if some are bent on ignoring it. We shall not avoid listening to everyone’s honest opinion, which is very useful and necessary simply because of the sometimes ridiculous noise made every time a citizen of our country says something that the very noise makers would pay no attention to if they heard it anywhere else on the planet. We are aware that such messages are intended to mislead or at least to create confusion; but in case anyone has had the outlandish notion to scare us off with them, I shall say that the reason we are still here --and we will continue to be here-- is that our people and its Revolution have always faced up, without fear or hesitation and with the truth, all sorts of aggressions by the greatest military and economic power in the world. Many examples could be offered; suffice it to mention the incontrovertible dignity of our Five Heroes in their stance before every attempt at breaking their will during a decade of unjust incarceration. I avail myself of the occasion to express my gratitude, on behalf of our people, for the countless expressions of solidarity, respect, affection, encouragement and legitimate concern over the leader of the Revolution conveyed by Heads of State and Government, political parties, non governmental organizations, outstanding intellectuals and ordinary people from every corner of the world after the publication of his Message last Tuesday. We shall never fail their confidence in us. At the same time, we take due notice of the offensive and overtly interfering statements of the imperialists and some of their closest allies. As could be expected, the State Department hastily announced the continuation of the blockade in accordance with the policy of the present Administration. Others, with certain nuances, are bent on conditioning relations with Cuba to a "transition" process aimed at destroying the work of so many years of struggle. Little do they know our people, so proud of its full sovereignty and independence! The Revolution is the work of free men and women and it has been permanently opened to debate; but it has never given an inch to pressures nor has it ever been influenced by them, whether big or small. I shall only add that Fidel’s Reflections, published on Friday, are a masterly response to all of them. As for the difficulties the country faces domestically, the decision on their priorities and the pace of their solution will invariably be linked to the available resources and the deep, rational and collective analysis made by the corresponding Party, State or Government institutions. In those cases where it is deemed necessary, there will be a previous consultation with the people in the corresponding sector of society, or even with the entire people, if it were a very transcendental issue. Some things need time for they should be thoroughly studied since a mistake brought about by improvisation, superficiality or haste could have substantial negative consequences. Good planning is most important for we cannot spend more than we have. Then we should organize things well, and work in an orderly and disciplined fashion; this is fundamental. When discussing these issues we should always bear in mind Fidel’s deep conviction, reiterated in his Message of February 18th, that "…the present problems of the Cuban society require more variables for each concrete problem than those contained in a chess game. We cannot ignore one single detail; this is not an easy path to take, if the intelligence of a human being in a revolutionary society is to prevail over instinct." I insist on the importance of discipline. We must all be demanding and back up those who are. If it were necessary, we should help them improve their methods and support them resolutely before the collective. You should understand that I am not talking of acting with extremism or of accepting abuse of authority or injustices; what I mean is that we should all do what corresponds in the strengthening of discipline and social order. If we don’t do it our people stand to suffer the consequences. It is true that there are objective limitations; we know them well and we suffer daily trying to solve them as soon as possible. We are aware of the enormous efforts required by the strengthening of the economy, which is an unavoidable premise to advance in any other area of society, given the real war waged by the United States administration against our country. Their intention has not changed from the triumph of the Revolution, i.e. to make our people suffer as much as possible in order to force it to abandon its decision to be free. This is a reality that far from intimidating us should continue making us stronger. Instead of using it as an excuse for our mistakes, it should serve as encouragement to produce more and to offer better services, to make efforts to find the ways and means to remove any deterrent to the productive forces and to the exploitation of the significant potential offered by savings and by the correct organization of labor. From the days of the independence wars until the present, our history teaches us that the greater the difficulties the greater the need for order, discipline and unity. The lacks of cohesion as well as disorder and impunity have always been among the worst enemies of a fighting people. I repeat that the country’s priority will be to meet the basic needs of the population, both material and spiritual, based on the sustained strengthening of the national economy and its productive basis without which, I’ll say it again, development would be impossible. An example of this is the measures proposed to increase the agricultural and livestock production and to better their marketing, which have been analyzed in every province by a large representation of those in charge of implementing them, including the producers themselves. Thus, we shall continue to act with regards to every issue of cardinal importance for the country. We are examining, for instance, everything related to the timely implementation of comrade Fidel’s ideas on "the progressive, gradual and prudent revaluation of the Cuban peso," exactly as he said it on March 2005. At the same time, we keep delving into the phenomenon of the double currency in the economy. These are all very sensitive and complex issues when, as in our case, there is a firm willingness to protect and to steadily increase the incomes and savings of the population, particularly of those least favored. To avoid traumatic effects or inconsistencies, any changes related to the currency shall be made with a comprehensive approach, mindful, among other things, of the wage system, the retail prices, the entitlements and the subsidies running in the millions presently required by numerous services and products distributed on an egalitarian basis, such as those provided by the ration card which under the present conditions of our economy become irrational and unsustainable. It is our strategic objective today to advance in an articulate, sound and well-thought out manner until the wages recover their role and everyone’s living standard corresponds directly with their legally earned incomes, that is, with the significance and quantity of their contribution to society. As Fidel pointed out in his Reflection of January 16th: "…nor should we give away anything to those who could be producing and who don’t produce, or who produce very little. Reward the merits of those who work with their hands or their minds." We are simultaneously studying other issues following a priority, and the pace of progress will depend on their complexity and the resources available. We have the basics to find the best possible solutions within our material possibilities and organizational capabilities, which shall continue to grow: an educated people, with a high political culture and firmly united under the principles summed up by comrade Fidel in his Reflections of January 24th, when he said: "For me, unity means sharing in the struggle, the risks, the sacrifices, the aims, ideas, concepts and strategies assumed after discussion and analysis. Unity means a common struggle against annexationists, quislings and corrupt individuals who have nothing in common with a militant revolutionary," end of quote. I insist on what I said here during the previous session of this Assembly: "For the enormous possibilities of this unity to turn into tangible results, it is indispensable that all the institutions and organizations work with the necessary integration." Institutionalization, --I repeat-- institutionalization is an important support of this decisive purpose and one of the pillars of the Revolution’s invulnerability in the political field; therefore, we must work for its continued improvement. We should never believe that what we have done is perfect. Our democracy is as participatory as few others are, but we should be aware that the functioning of the State and Government institutions is not yet as effective as our people rightfully demand. This is something we should all think about. On December, I referred to the excess of prohibitions and regulations, and in the next few weeks we shall start removing the most simple of them. Many had had the purpose of preventing the emergence of new inequalities at a time of general shortages, even when that meant relinquishing certain incomes. The suppression of other procedures, even if they might sound simple to some, will take more time for they require a more comprehensive study and changes of certain legal regulations, in addition to the fact that some of these are influenced by measures taken against our country by successive U.S administrations. Changing subject, there is also the tendency to apply the same recipe everywhere. As a result of this --and this is perhaps its worst consequence-- many believe that the solution of every problem demands a national measure. In many respects, local initiative can be effective and viable; this much has been proven with the direct distribution of milk, as I said last July 26th. This experience has already been extended to 64 municipalities from 13 provinces in the country; 40 of them are completely applying this system. We are also advancing in the remaining municipalities and in the dairy industry. In addition to ensuring prompt and proper distribution of this essential product, which is the main objective, in the last few months of this past year said program allowed us to save more than 6 thousand tons of powder milk whose purchase would have cost in excess of 30 million USD, at the average price in the period of 5 thousand USD a ton. Additionally, the hard currency expenses were reduced in 2.6 millions, including in this figure the cost of 600 thousand litters of fuel. Other examples could be taken from the most diverse sectors; therefore, we must continue to think of similar solutions at all levels of the administration. Comrades: On a day like this, in 1895, responding to a call from Martí, the Old and the New Generations resumed the struggle for the independence thwarted by the United States military intervention. Half a century later, we again managed to be united and to fight against the same enemy. It was not by chance that this date was chosen, 50 years ago, for the first broadcasting by Radio Rebelde on the Sierra Maestra, nor that this was the date in 1976 when we proclaimed our Socialist Constitution. On this 113th anniversary of the Necessary War, we are faced with many really difficult challenges. In order to face them, let’s bear in mind what Fidel wrote in his Reflections published last December 10th, when he alerted us: "For every Cuban, Martí’s frowning countenance and Maceo’s withering look point to the arduous path of duty, not to a more comfortable life."